Joseph Callavini, coordinator of registration-transportation for Vineland Public Schools, increased the accuracy of his GPS student tracking data with card management services from CI Solutions. After implementing the Zonar Systems Z Pass solution for student ridership tracking, Vineland Public Schools in New Jersey was challenged with creating “one card” that would work with its new GPS bus tracking solution and existing library and food service applications. With over 11,000 students in the district, the photo ID cards needed to be printed and ready for distribution the first day of school. 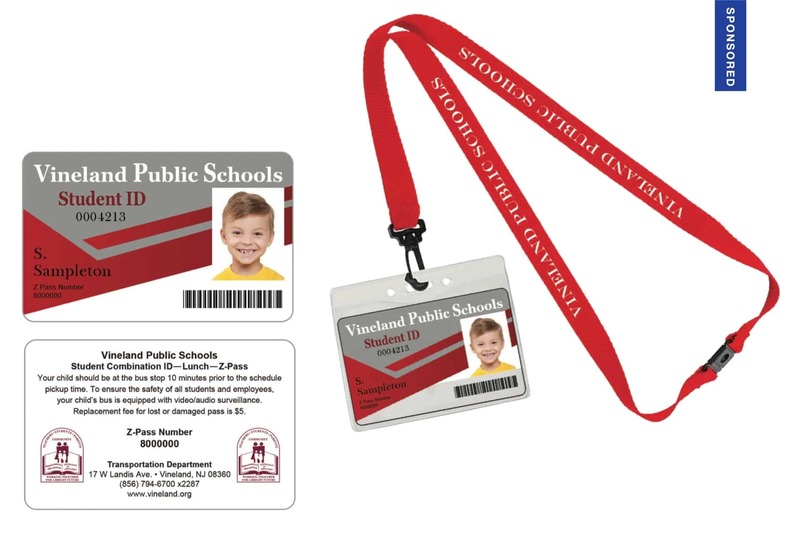 Vineland Public Schools securely transferred student pictures to Cl Solutions for the manufacturing of a custom photo ID card for each student. During the manufacturing process, the RFID card was programmed to each student’s record and enrolled back in the student database. The cards were sorted alphabetically, shrink-wrapped and ready for the first day of school. To help with visual identification and protection of the card, Cl Solutions provided custom printed lanyards with a safety breakaway for students. The card was placed in a protective holder and attached to a lanyard so that administrators can visually identify students from a distance. For new students and replacement ID cards, Cl Solutions provided their Cl Badge RFID card enrollment software paired with RFID enabled card printers. The Cl Badge systems provided the school sites with the ability to manage their own card replacements while offering Joseph transparency of when cards were replaced. Contact CI Solutions at 800-599-7385 or visit www.cardintegrators.com to discover how GPS student tracking and card management services can streamline your operations.